FOSAF NEWS - FishMap - What is it? 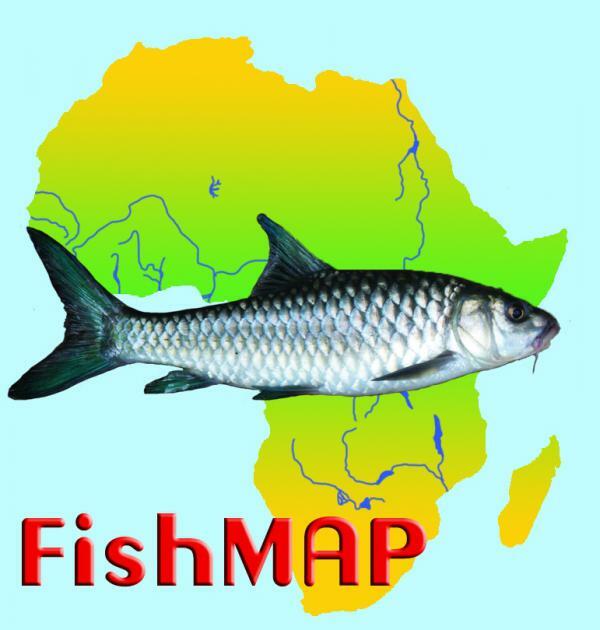 .FishMAP is ADU’s newest project and encapsulates all Southern/Eastern African freshwater fish and this now brings all species of vertebrates into the ADU fold. A number of eminent scientists and fishermen across southern and eastern Africa have volunteered to sit on the panel of experts to ensure the correct identification of all records submitted and to help spread the word about FishMAP to all fishermen in Africa. FishMAP is a collaborative project between the Animal Demography Unit (ADU), South African Institute for Biodiversity (SAIAB) and National Museums of Kenya (NMK). Each organisation is making a major contribution to the project. The FishMAP project is housed in ADU’s Virtual Museum suite of monitoring databases. Some outstanding studies have in the past been conducted in specific biomes and river catchments but never has the complete picture been documented for the whole of southern and eastern Africa. The previous studies have each been a snapshot of the knowledge at a given moment in time. FishMAP will work like all of ADU’s Projects and capture all of the historic information into the system alongside the current records submitted to the virtual museum. A key element of ADU’s toolset is to bring the fourth dimension of time to science and distribution mapping. Capturing the historic data and adding the current records provides an ongoing view over the time period from the earliest studies through to the latest view of what is where. Within just a few years this combination and time spread will begin to show changes in distributions and the impact, or benefit, of factors such as climate change rainfall and runoff patterns , water quality and quantity and fish distribution in our inland aquatic structures. Most importantly for all sides of the debate is that the ADU maintains an independent and unbiased view of the data which its Observers provide and turns the data into knowledge through the mapping and statistical tools at its disposal for all its projects. Furthermore ADU subscribes to the “Creative Commons” rule that all knowledge is freely available to the world for educational, environmental, conservation and policy decisions but if the data is to be used for private gain then it must be purchased. Thus any interested person can see the distribution map of where a specific fish occurs and help grow the knowledge base by submitting their own records of fish they catch. The knowledge will also be available to help the various organisations understand any impacts or changes in fish distributions over time and make and adjust management and conservation principles accordingly. FishMAP is one of the “Virtual Museum” projects run by ADU and works on the very simple method of capturing the fish on camera, which can be either after catch and before release or while still swimming in the water. The exact location of the photograph is also recorded whether by GPS in the camera, from a tablet or GPS device or by using Google maps at the time of uploading the record to the museum. Other information about the location, nearest town, province and country and for fish the river or catchment will help to geo-locate the record on the distribution maps. To ensure every submitter of a record is correctly acknowledged it is essential that the fisherman registers with ADU and becomes someone who is called a “Citizen Scientist” (someone who is an ordinary citizen but is making a contribution to Science through observing and submitting records to this continental initiative. To register each person goes to the virtual museum at http://vmus.adu.org.za and click on the “registration link on the left of the screen. This will take you to the registration page where you enter your email address. The system will check if you are already registered with ADU and if not will ask for additional basic information such as your name, contact numbers and postal address. You will also choose your own password and then you will receive your unique Observer number. This number is valid for any and all of ADU’s projects so if you are into snakes and Fish you can contribute to more than one project without having to re register. Once you have an Observer number you can click on the login link and then select “Data upload”. The instructions and steps are very simple to follow with only one restraint. Photos must be less than 1MB each and up to three photos per record can be submitted to assist with ID. And YES you do NOT need to know the exact ID of the fish before you upload. The beauty of the VM (Virtual Museum) is that the panel of experts will confirm the ID for you. If you know or think you know then submit your ID and it will be confirmed or corrected. I recently uploaded a snake and was delighted to have my identification confirmed but I am excitedly waiting to know which fish I uploaded! To have a look some of the 190 records already submitted at the time of writing and just 2 weeks since the project went live click on the FishMAP logo on the VM’s projects page. To see some of the other ADU projects click on any logo on the projects page or click on the ADU feather and grid logo on the left of the page. You can also visit the FishMAP Facebook page at https://www.facebook.com/groups/FishMAP.Africa/ or by searching for the FishMAP group on Facebook. Although FishMAP is a project run jointly by ADU, SAIAB and NMK and any person can join and contribute for free there is always a need for funding the work of the project team to capture the historic data, to ensure taxonomic changes from historic to current data are incorporated into the system and to keep the project running. Perhaps the eventual goal will be a book on the distribution of freshwater fish in southern and eastern Africa. Individuals or organisations can help by donating through the Citadel Conservation Foundation which is approved By SARS and DTI and has been set up to enable BEE spend to go into the project and for organisations to receive BEE status and points through their donations. Alternatively funds can be donated directly to the project at ADU. Sponsors of the project will be acknowledged by having their logo displayed on the ADU sponsors page and possibly on the FishMAP webpage. The following people will be delighted to answer questions and help get you registered and started. For advice on how to donate funds to the project via the Conservation Foundation contact Peter Greaves.